Is It Wrong to Try to Pick Up Girls in a Dungeon? saw is anime adaptation begin airing on the 4th of April 2015. The story follows a man by the name of Bell Cranel, a reckless hopeful dreaming of becoming the greatest of adventurers, he promptly attempts to join as one of the familiars to one of the gods, who have now taken to living amongst the mortals. However, after being rejected by every god family he encounters, Bell is left hopeless. That is until God Hestia offers him the choice to join her family -which currently does not exist in the slightest- and so begins Bell’s quest. He must venture into the dungeon to seek riches and fame, however, the journey will prove to be a perilous one as he is almost killed within upon his first ever venture into the dungeon. 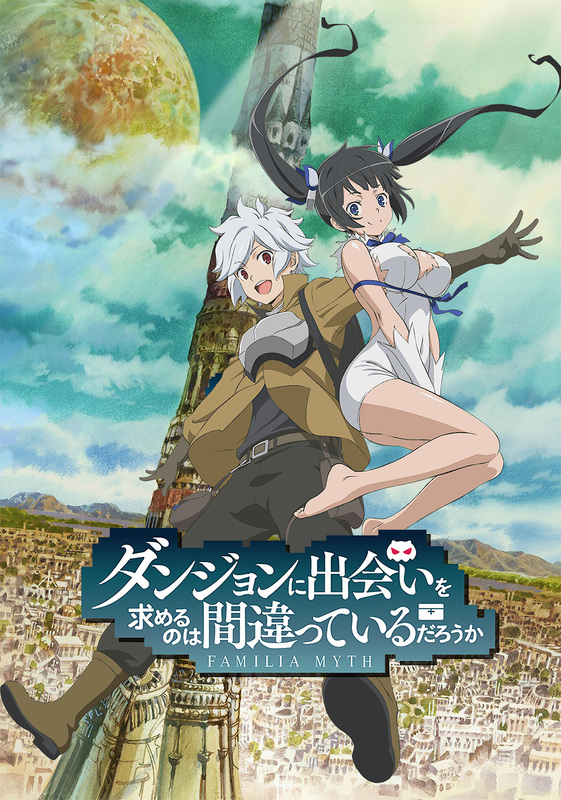 My Review: Is It Wrong to Try to Pick Up Girls in a Dungeon? was a surprisingly solid show, I was expecting a hefty barrage of fan-service and shallow plot, but for the most part, the series title proved to be deceptively misleading. Bell as a character was well rounded and -I thought- provided many points of silly fun but also a seriousness that gave the show a feeling of wholeness. Many of the other characters such as Hestia, Ais and Welf worked in a similar way, if not a bit more two dimensional. The dungeon is an interesting environment, nothing new from what we can come to expect from these “RPG” anime, but I felt that there was enough detail to make the world feel properly lived in and not just packed with random details every which way, which I liked. The plot was short but kept a good pace, and managed to go through quite a few plot points, making the show feel longer than it was. Additionally to that, however, the actual length of the show left me wanting more (let’s see a second season hay). All in all, a well-rounded show an I would give it a solid recommendation. I wasn’t too impressed with this anime. Catchy OP and dance though. Haha, that’s a shame to hear.